The IAC will inform the congregation about Israeli current events, support of Israel, and promote programs that foster lifelong learning about Israel including Israeli culture, spiritual life, politics, Israeli products and Israeli entertainment. The Myra and Robert Kraft Passport to Israel program is a unique savings plan to help parents send their children on a life-changing experience to Israel. The program is designed so that the community, the synagogue and CJP help families make a trip to Israel possible during the high school years a reality. The IAC seeks to have 80% of eligible families participate in the Myra and Robert Kraft Passport to Israel program that promotes teen experiences in Israel, and encourages incorporating Passport to Israel into B’nai Mitzvah celebrations and gift giving. Learn more about this unique savings plan, supported by TBT and CJP, to help fund a trip to Israel. 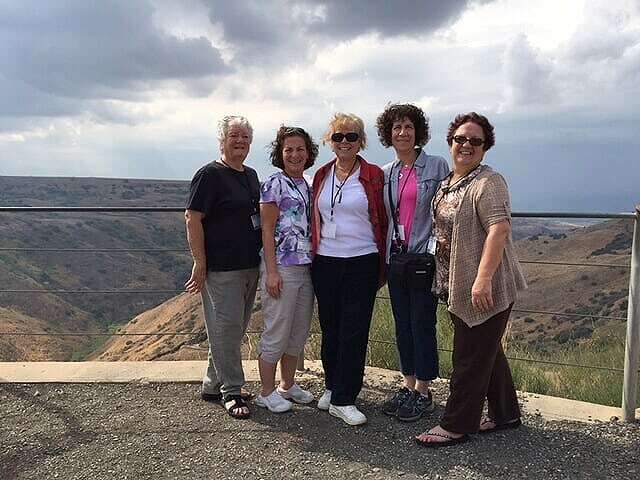 The Israel Action Committee provides information and offers events that encourage and assist congregants of all ages to travel to Israel through individual trips, sponsored groups, and trips organized through the Congregation. Interested in traveling to Israel? Bewildered by the cost and complexity? Intimidated by language? Israel is a safe and welcoming place to visit, and there are many cost effective options for you and your family!